Several math and english classes have been converted to directed study for this semester. The course assignments will be worked out between the instructor and the student, Sarah Harvey, registrar, said. For sophomore Hosanna Burr, the new class arrangement is a bit troublesome. 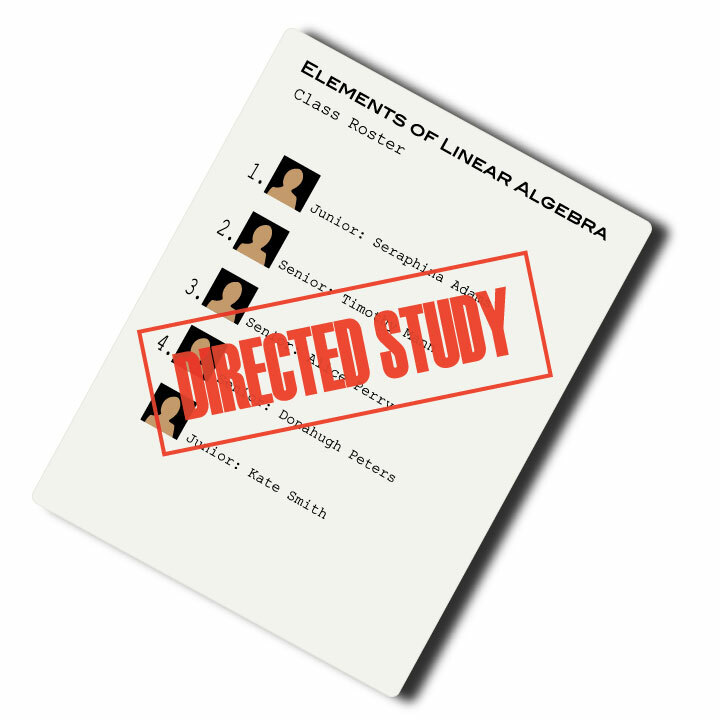 Her class, elements of linear algebra, was converted into directed study this semester because it only had three students. In her case, directed study means a one-hour meeting with her professor each week and deadlines at the end of the semester. “Originally, he [her professor] was planning on having a day where we could ask those questions and then he would lecture three days, and now it is kind of like we only get that day of questions and not the day of lectures,” she said. Burr said that they would most likely take advantage of that extra time. Nonetheless, her work load seems to have increased. “I’ve been trying to work on it while I’m technically supposed to be scheduled for that class and then I have the homework time; so, I feel like ultimately it’s going to add more time to my schedule,” she said. As she gets further into the math major, she said she is concerned more classes will be converted to directed study. She said she may have to consider other options if the university cannot meet her academic needs. Harvey said switching classes to directed study is not a new practice, but one that happens each semester depending on class enrollment. This switch did not only happen in the math and English departments.